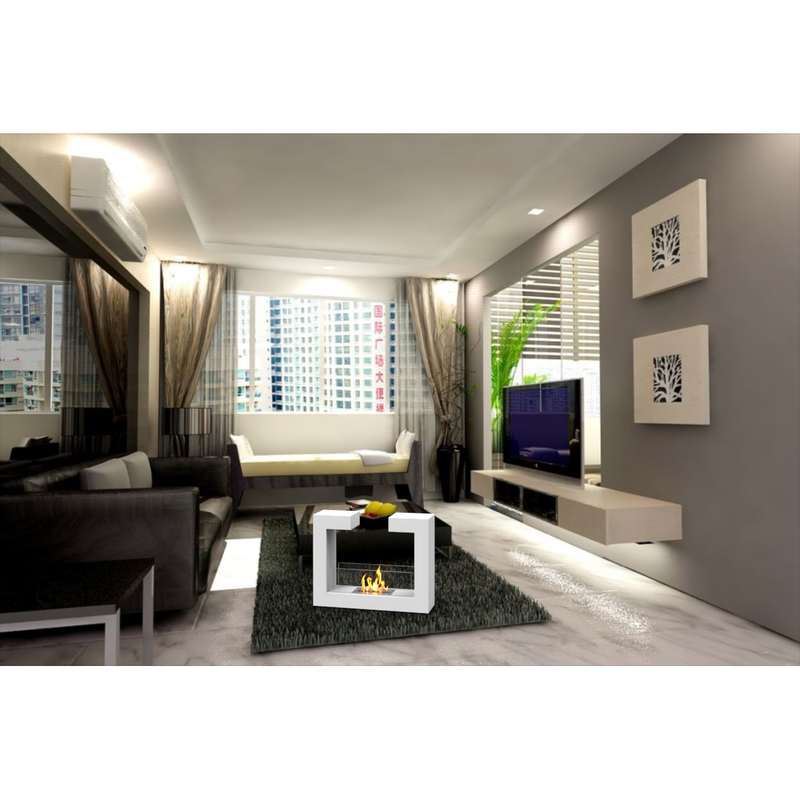 Vinci white modern ethanol fireplace has a distinctive contemporary look as a fun geometric shape that is sure to impress. 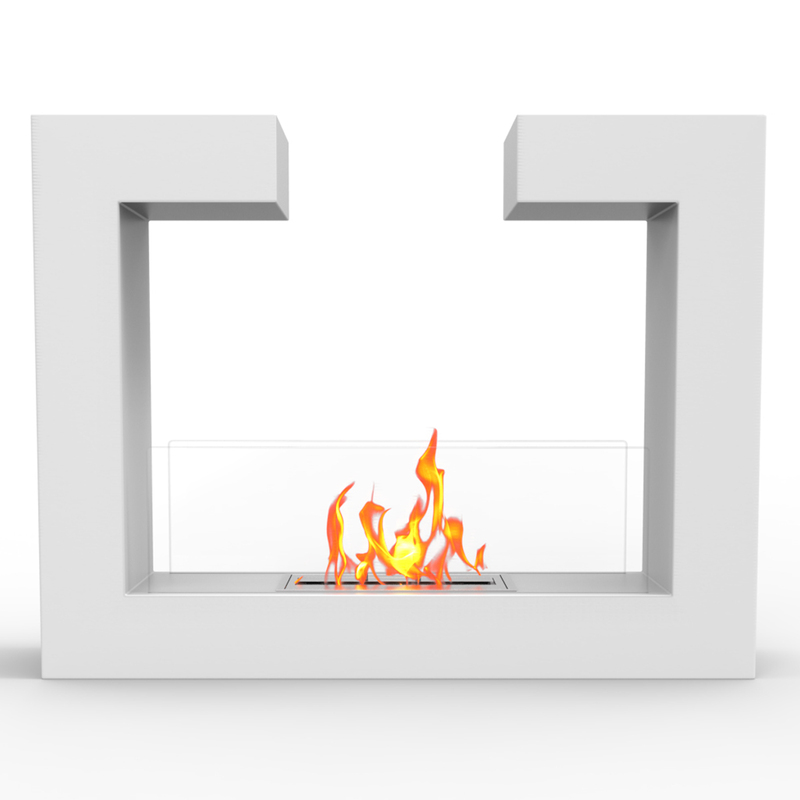 constructed from highest grade of steel, powder coated, includes tempered glass on either side to act as a barrier from the real flame of the fire. The design is so simple and it is faultless and lovely. We placed it in the center of a rectangular cut-out in our concrete patio and surrounded it with black river rock. 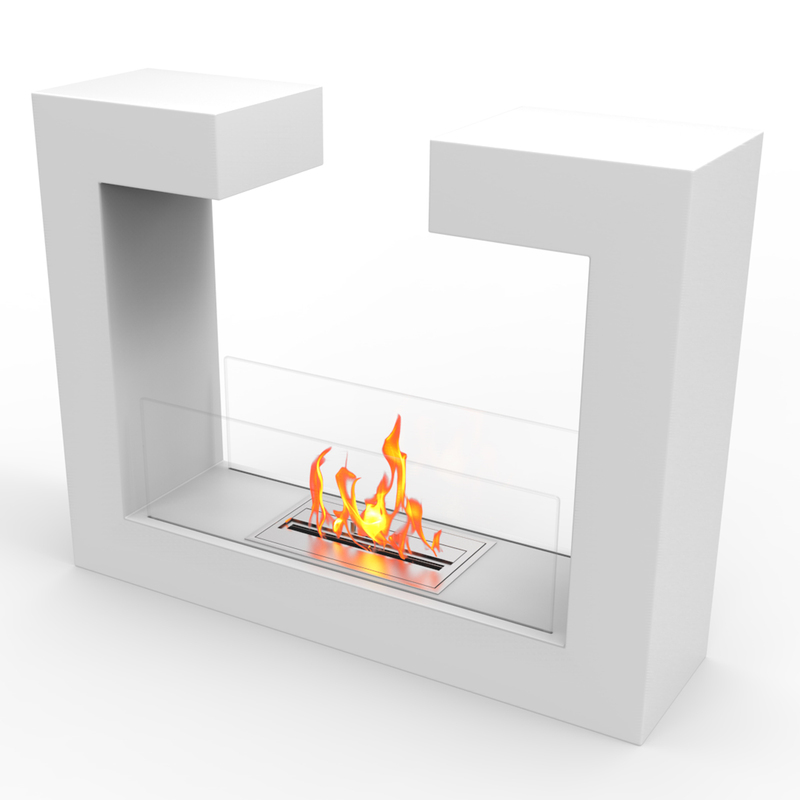 Very easy to use and no messy gas tanks or wood piles to deal with. 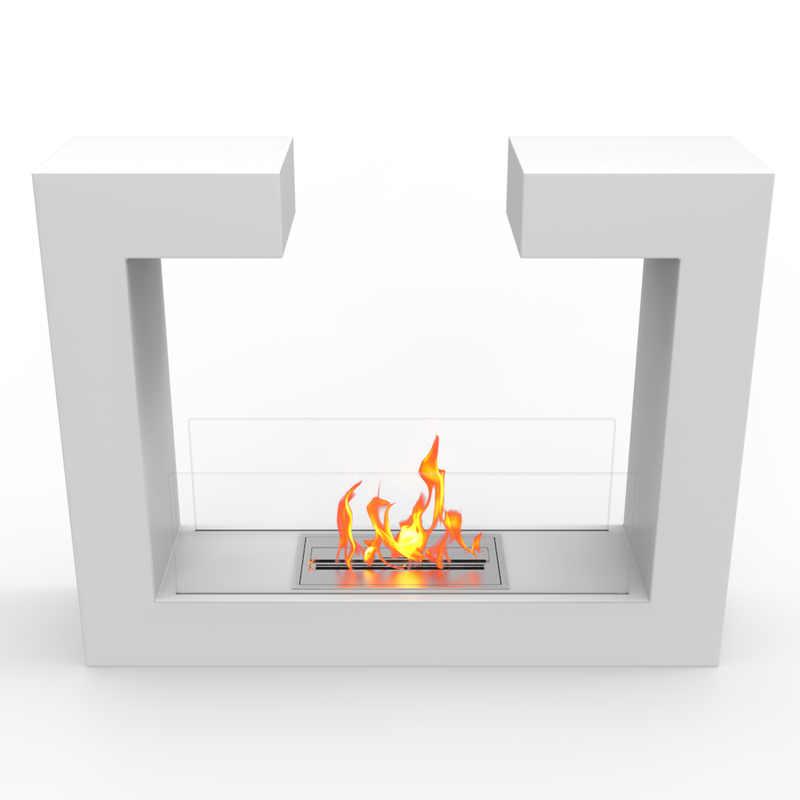 Love the look of this eco-friendly fire pit! 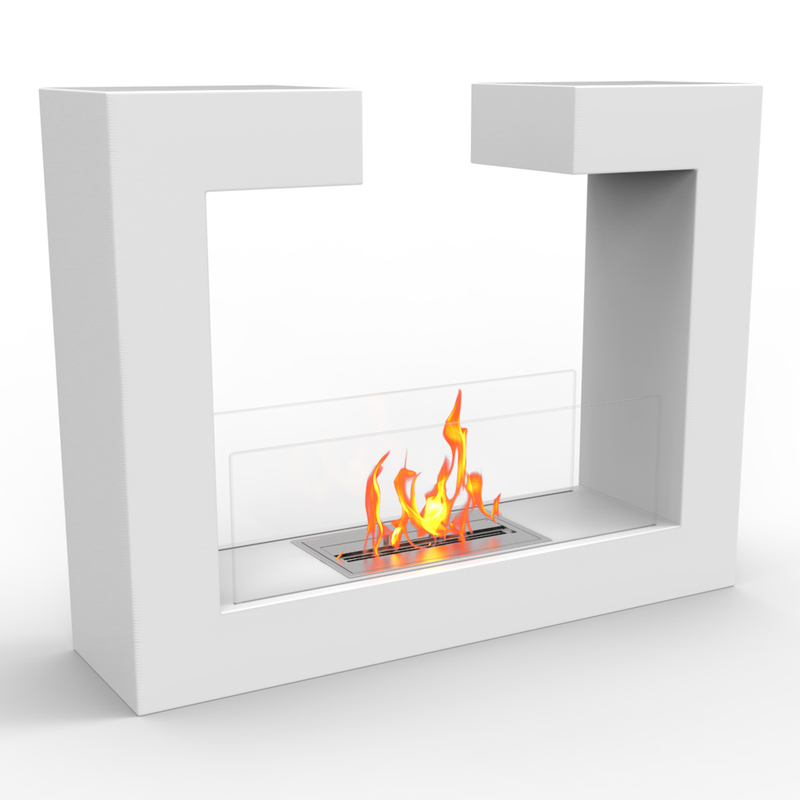 I like the fact that there is a glass plate between the flame and the room, just in case someone gets too close. This added the perfect touch to our decor.